On this ethnic artwork, abstract characters with a metaphorical silhouette are drawn with a blend of warm and cool colors. This modern painting is 90 x 90 cm (35.43 x 35.43 po). 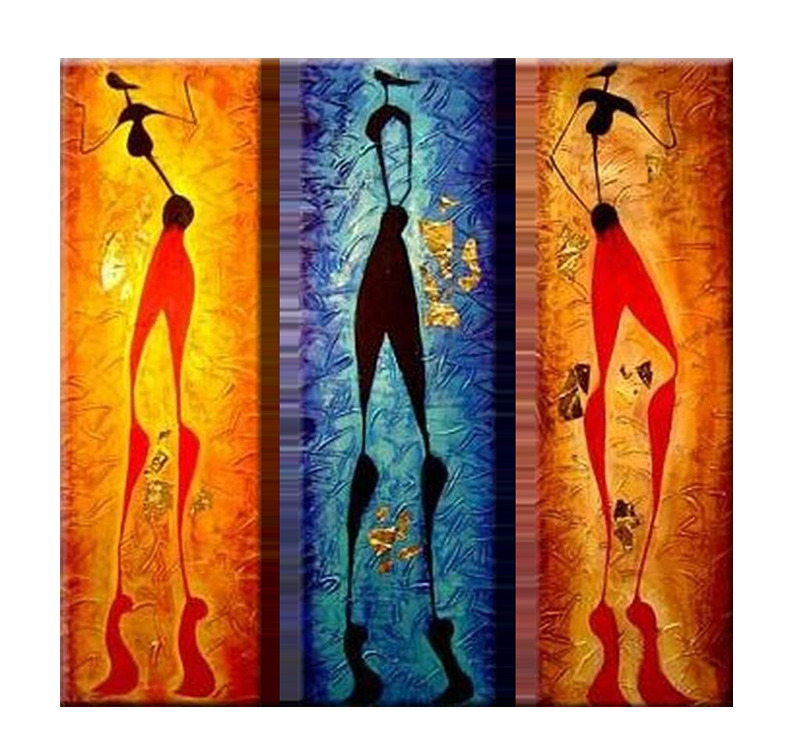 This "Abstract People" triptych represents three characters with imaginary curbs on orange and blue backgrounds reminding us of fire and water, two distinctive symbols of Africa. Your home decoration and walls will be beautified by this modern triptych full of colors and emotions. 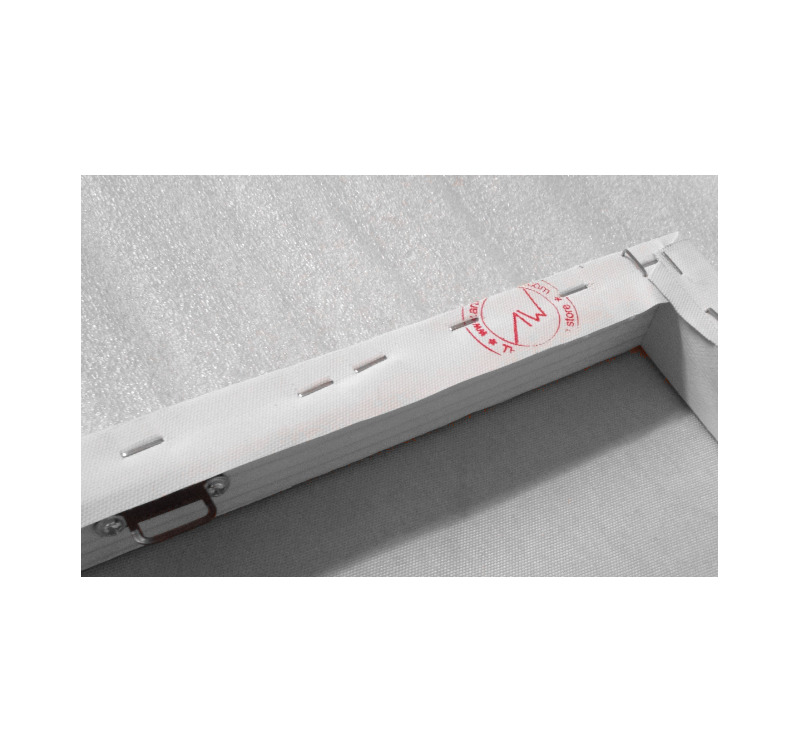 The modern pieces are delivered with cardboard corners and hanging hooks. All the canvases falling into the paintings category are original artworks; painted by our artists, they are then treated to withstand UV and moisture to ensure optimal rendering and lifetime.